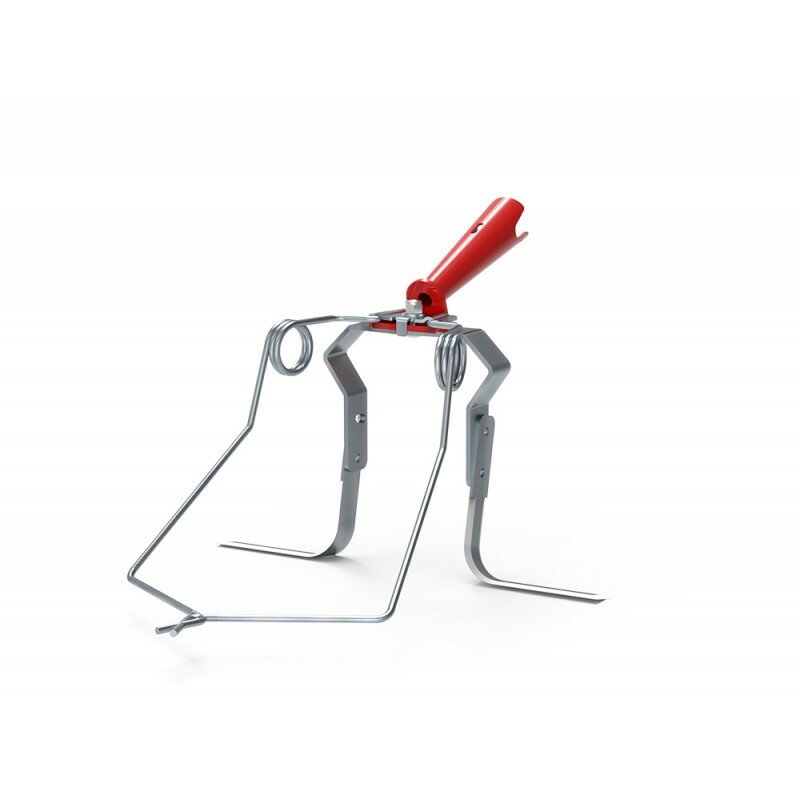 The spring tines, which are known for their performance in large-scale farming, have been fitted to a hand tool for a combination of weeding between the rows and on the row. 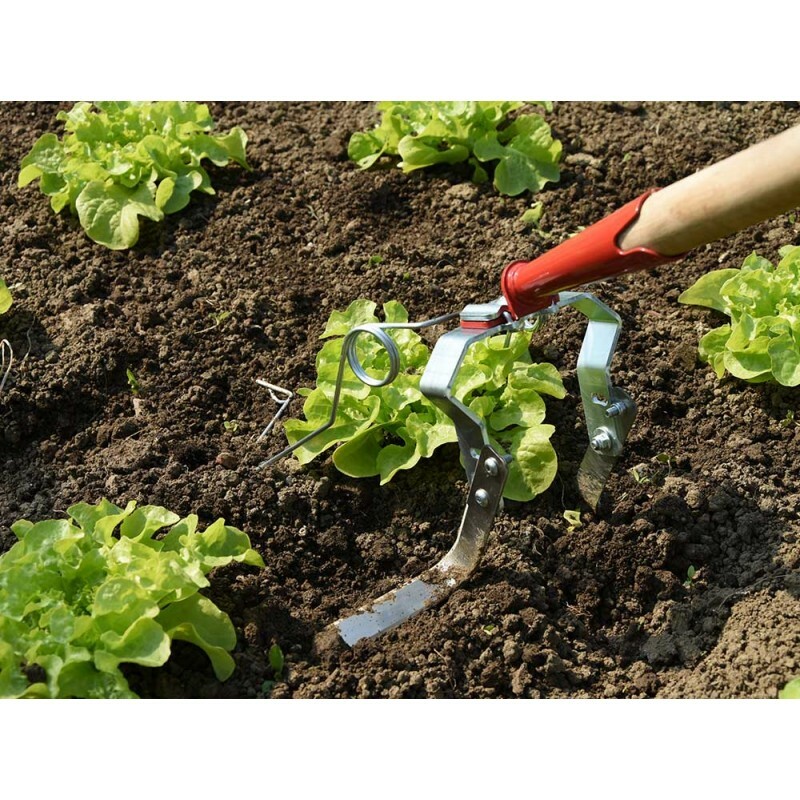 It is an innovative tool that combines two hoeing techniques. Optimum performance is achieved when the weeds are not yet fully developed. 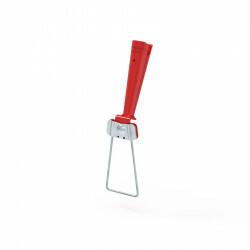 The adjustable spring tines are naturally in the closed position. When passing by the plant, they open and close naturally to let the crop pass by. 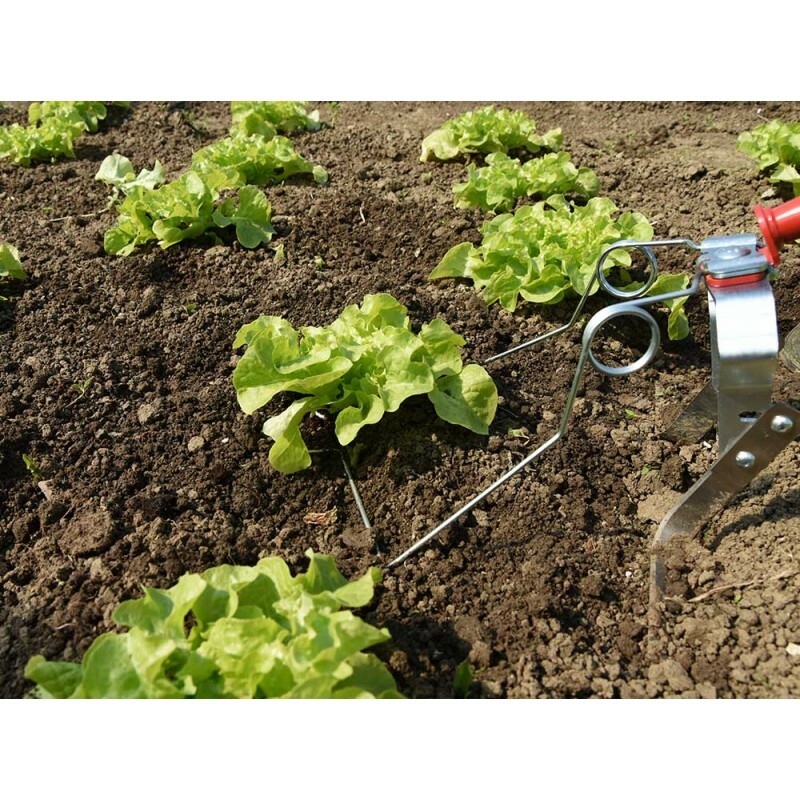 This means that the springs close to remove the weeds and open as the plant passes through so as not to injure the plant. The wire is also rounded at the end to avoid any bruising. 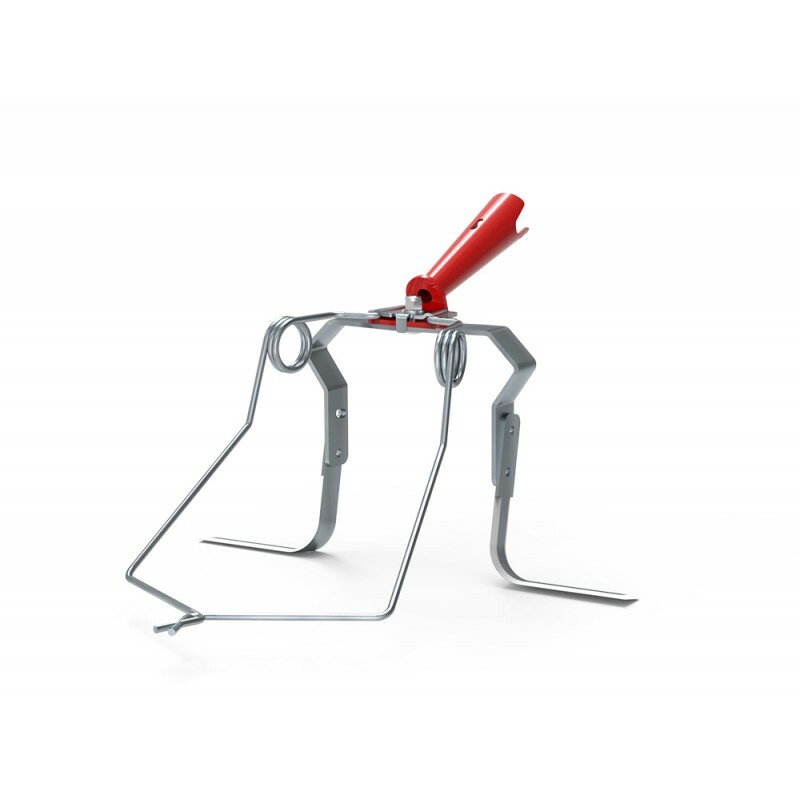 The combination of the blades and spring tines saves considerable time when weeding tight rows of crops as you combine two passes in one. The M model is used for working on crops that are easily uprooted. The L-shaped model is for working on more developed planted crops.